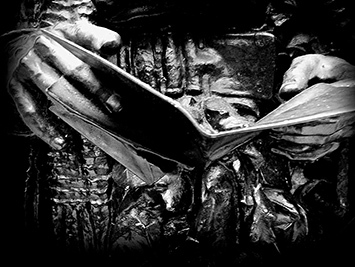 LETTER TO AN UNKNOWN SOLDIER offers the chance to create your own project using the contents of this website as a starting point and stimulus. create a bespoke project that works for your participants, that is planned and delivered by them according to their specific interests and preoccupations. Learning Resources are available to download. The inspiration for activity is clear and strong. 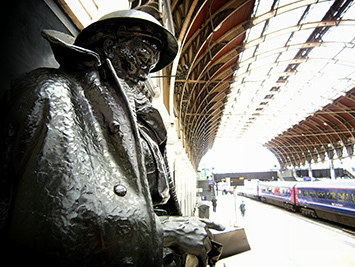 On Platform 1 of Paddington Station there is statue of an Unknown Soldier. The soldier is shown reading a letter, and this is the letter that you and your group might wish to write. The Learning Resources are backed up with examples of letters already written by established writers and members of the public who participated in the initial project. However, you can use the search tools in the READ pages of this website to explore thousands of additional letters written by members of the public, politicians and familiar writers.